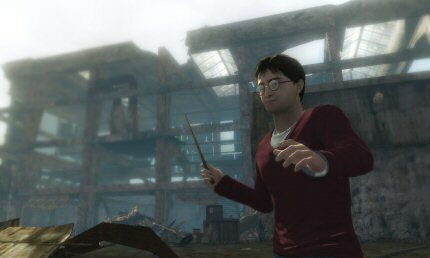 With all the action taking place outside of Hogwarts for the first time, Harry Potter and the Deathly Hallows - Part 1 represents a shift in tone for the Harry Potter games. On the run with a horde of merciless enemies on their tail, players will find themselves in unknown territory, far from the safety of the school grounds, fighting for survival at every turn. 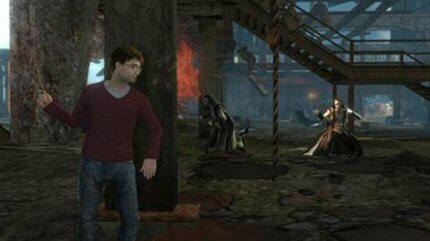 The combat-focused gameplay sees Harry Potter and his friends on a desperate and dangerous quest to locate and destroy Voldemort’s Horcruxes, engaging with the likes of Death Eaters and Snatchers. To amplify the action, players will encounter ferocious creatures from the previous films in addition to the adversaries Harry faces in the seventh film.